Corsicans are thoroughgoing chauvinists and invariably prefer to consume products that are made on their beloved island. The Corsican wine industry has evolved enormously since the novelist Ernest Hemingway remarked of wine he’d just tried, “It was a very Corsican wine and you could dilute it by half with water and still receive its message.” Today the island boasts nine appellations contrôlées and two cru designations, a remarkable concentration of quality vineyards given its size. 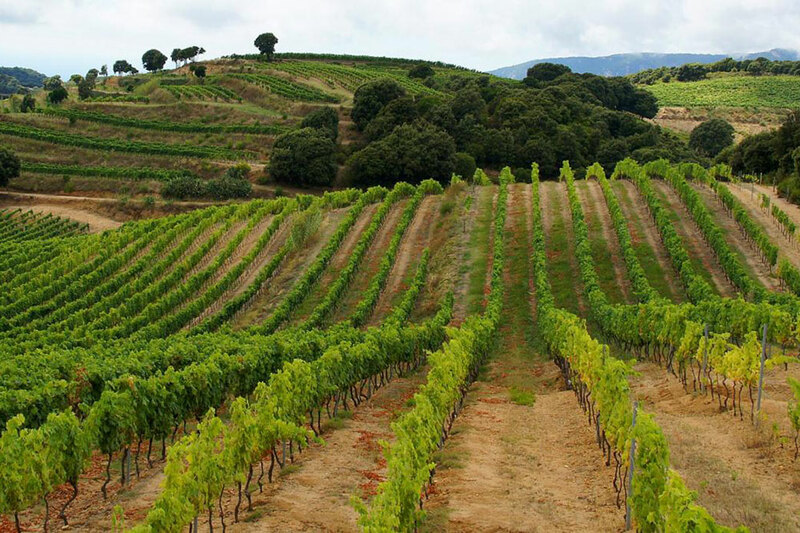 Truly spectacular wines include the suave reds of the Patrimonio region and the Muscats for which Cap Corse is well-known. During my recent visit, the standout was a bottle of Moretelle from Clos d’Alzeto, a vineyard founded in the hills above Ajaccio in 1800 and run by the Albertini family for five generations. This white is made from hand-harvested Biancu Gentile and Vermentinu grapes, which are indigenous to Corsica, and it has an intriguingly complex nose (yellow flowers, exotic tropical scents) and a mineral-rich density on the palate that makes it a superb food wine. 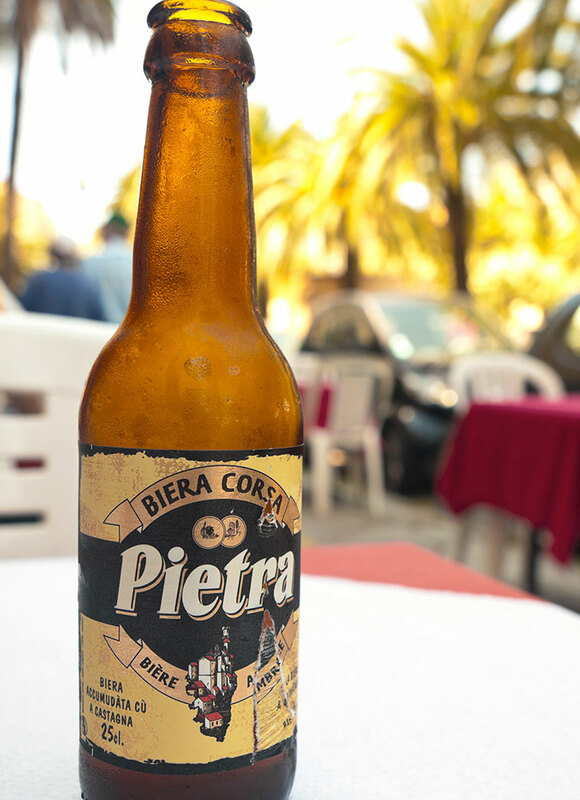 Pietra is a pure blonde beer brewed from malt and Corsican chestnut flour by Brasserie Pietra. The name comes from Pietraserena, the Corsican home village of the brewery’s founder. The high fermentability of chestnuts helps to maintain the beer’s head and give it its golden color. 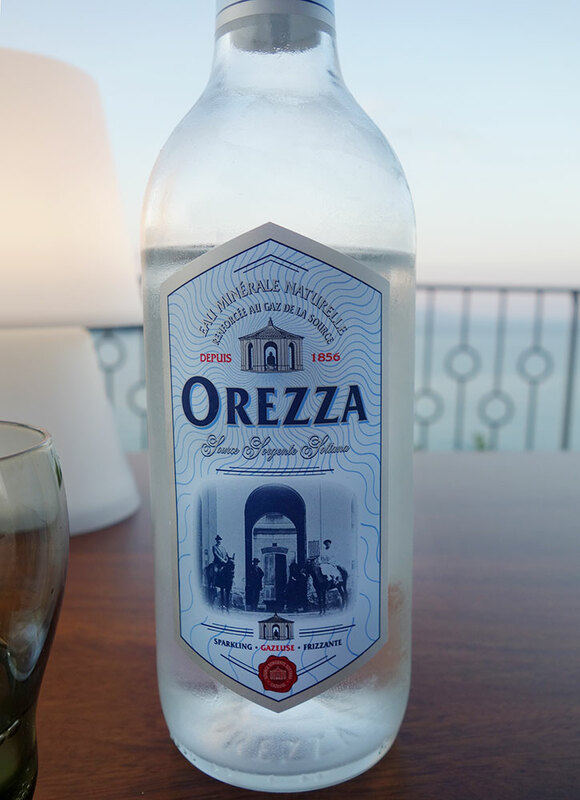 Corsica’s two best-known mineral waters, Orezza and St. Georges, feature prominently on many menus. The Romans appreciated the waters of the springs at Orezza, in central Corsica, and in 1856 Emperor Napoleon III allowed them to be bottled by royal decree. 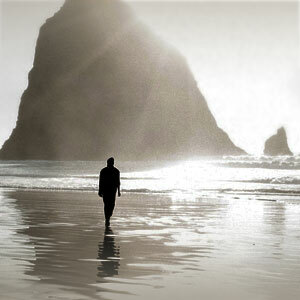 Orezza is best known as a thirst-quenching sparkling water (a still water is also bottled) with a high iron content. St. Georges, which comes in a bottle designed by Philippe Starck, is a high-quality mineral water from a spring in the mountains south of Ajaccio.